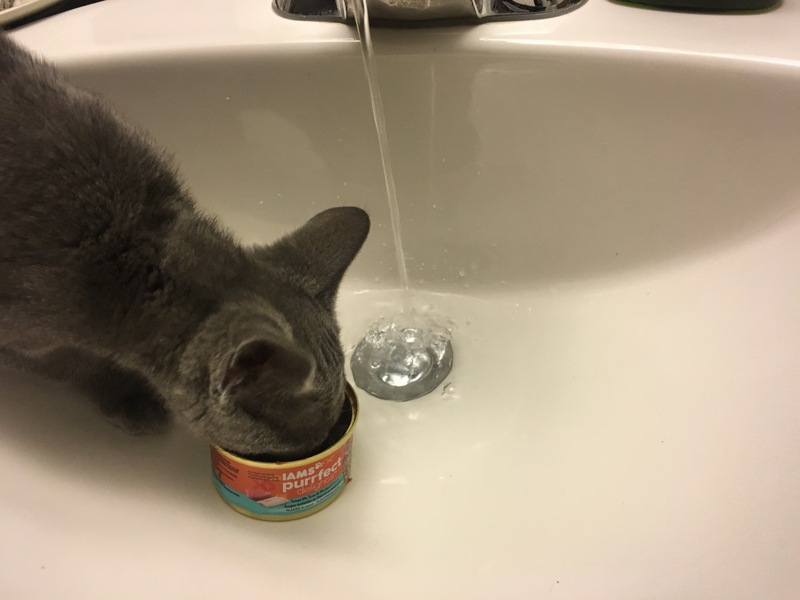 Teach Your Cat To Like Water. 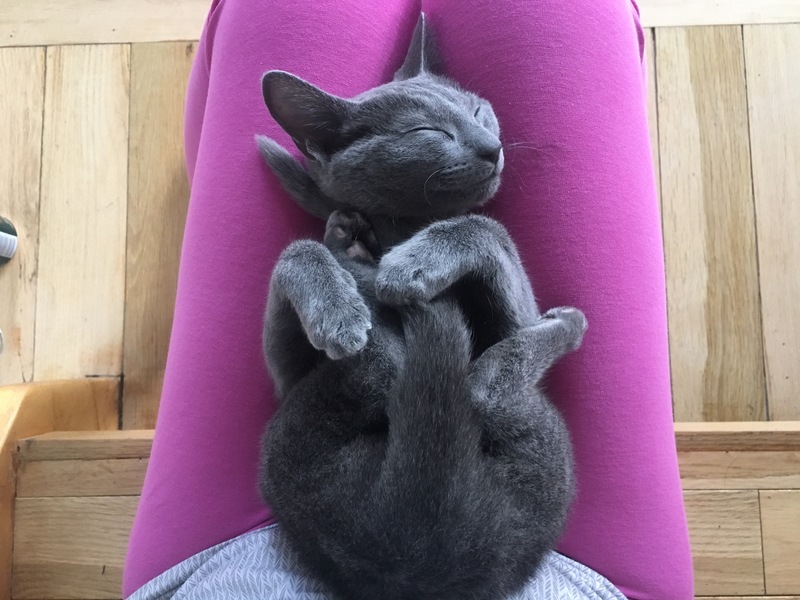 Dragon is my 16 week old Russian Blue kitty and my goal is to train him to be able to face adversity and love the outdoors as much as I do. In these past few weeks Dragon has inspired people from all over to do things that we all once wrote off as impossible or too difficult. If Dragon can do it so can you. Since I spend most of my time climbing and paddling I want Dragon to be able to join me in those activities safely and with pleasure. I’ve been doing a number of things to try overcome his natural dislike for water. If you’re reading this for the first time it’s essential that you learn the Pet & Praise method and check out the first phase of water training described in the post Lesson 3: Water Exposure. Ideally by now you’ve been Petting & Praising the crap out of your cat for the past few weeks. I did this constantly for Dragon, pretty much for anything he did that wasn’t bad, I would tell him he was a “good boy”and rub all of his scent gland areas or whatever his favourite areas are. This method also really helps for when you are unhappy with his behavior because then he feels really, really, really, bad. From what I’ve researched and based on Dragons behavior, cats respond really well to positive feedback and attention and when they see you are upset with them, they don’t like disappointing you. He’s Outgrown the Sink Trick. Okay so now I have a happy kitty that wants to love me all the time and thinks he’s just the bees knees. Dragon is confident and ready to please. 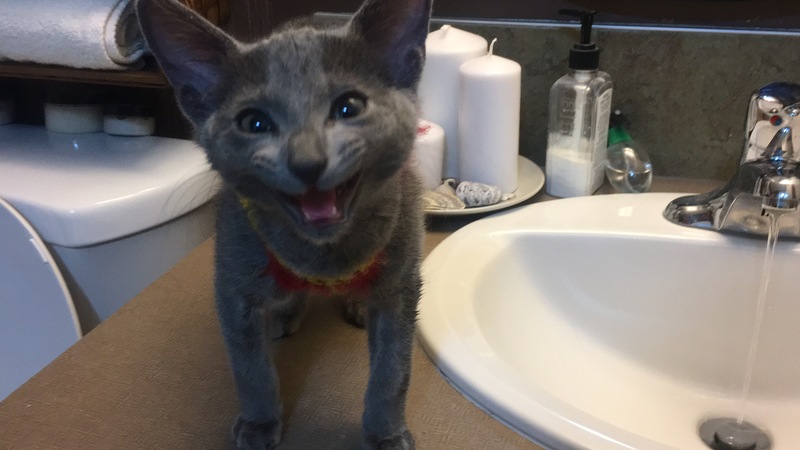 He loves his wet food and in the previous water training post I explained how I was using the sink to introduce him to associating happy feelings with water. Now he’s grown past that. He’s discovered that he can access his food dish without touching the water moat. I came up with the next level of water training. Sometime I keep the faucet trickling to simulate moving water, like that of creeks and streams. The first week he would walk circles on the bathroom floor “meow,” and look up at me. 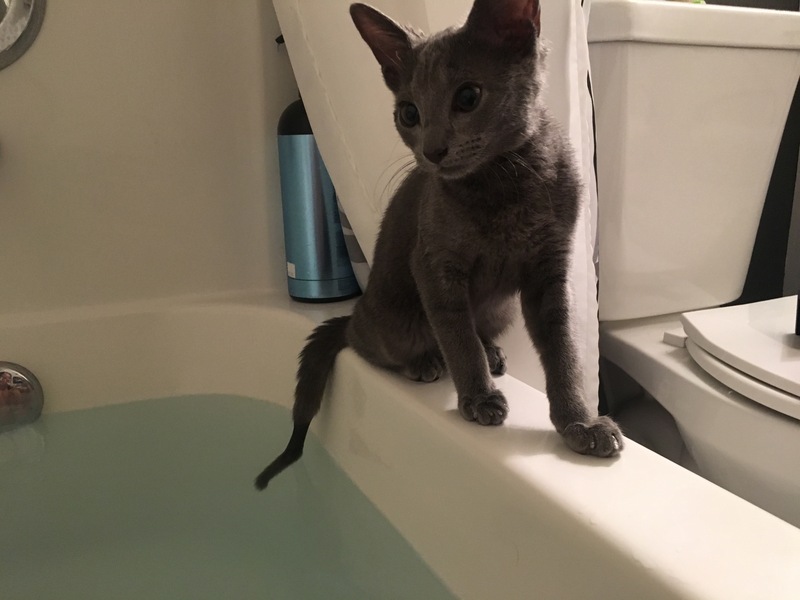 He would not enter the tub on his own. I would have to place him in the tub and his back would be arched as he tried to wolf his food down as fast as he could. The second week he would jump into the back end of the tub and try to drink the water. I think he was hoping he would be able to drain all the water and access his food dish. I still had to place him into the water by his food dish. By the third week whenever he heard the bathtub faucet turn on he would race to the bathtub jump in and already be waiting for his food. Now he’s ready for the ultimate test. 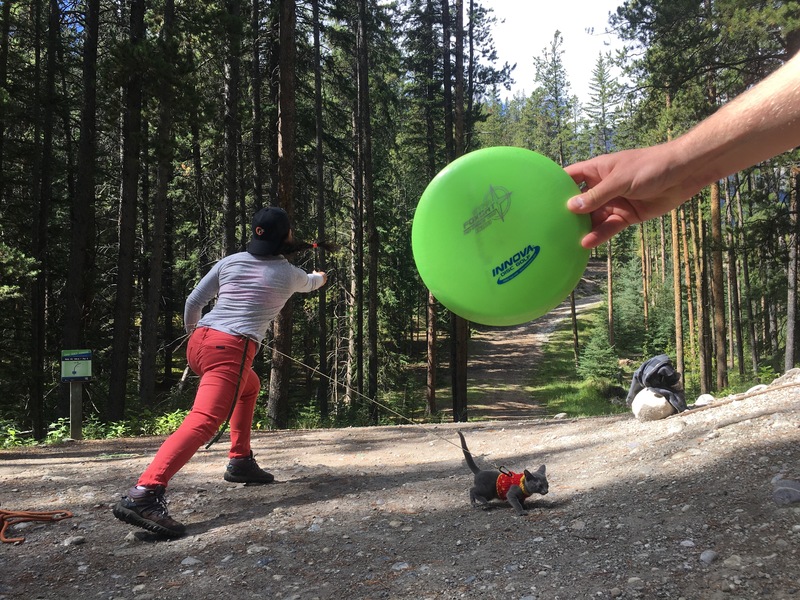 A couple days ago I went to the Canmore Nordic Centre to play some disc golf and my disc flew into the stream. 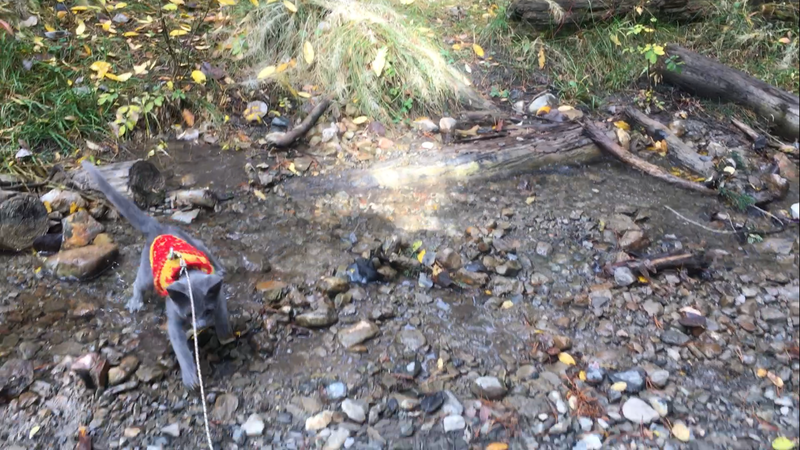 Dragon was on his leash clipped to my waist and he followed me through the creek like it was nothing. I mean I only have one test subject to validate my training technique, but I can tell you for certain. 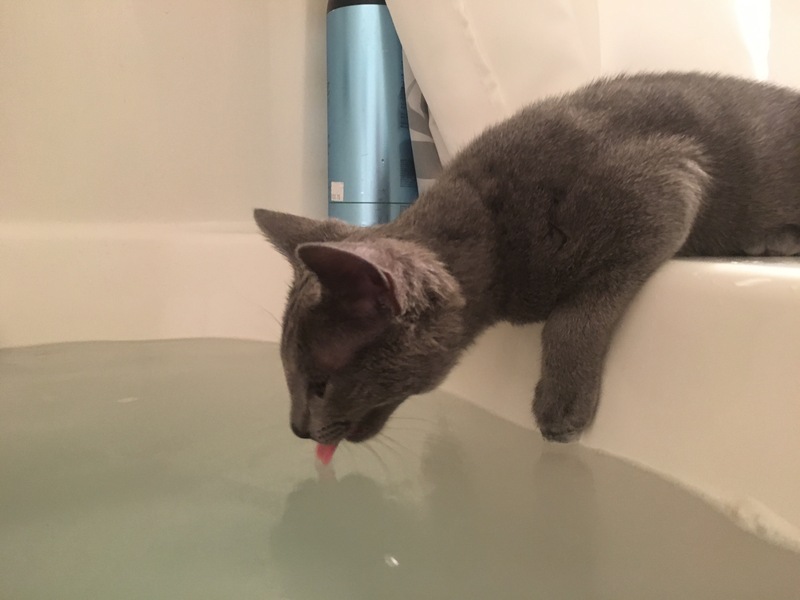 My cat doesn’t mind water. 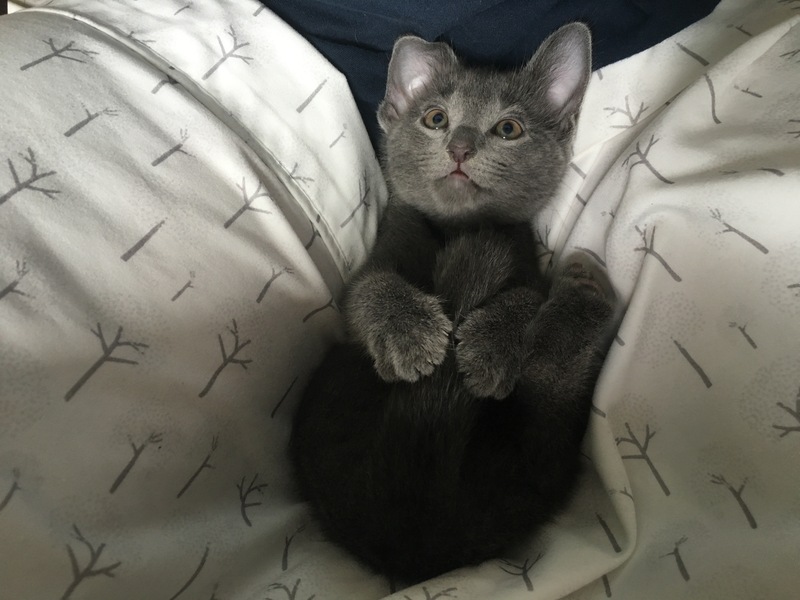 Dragon is not just any kitten. 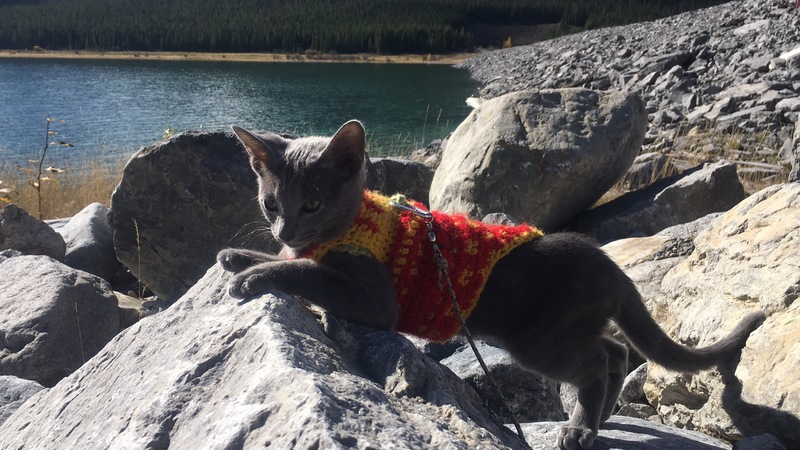 He’s on a training program to be the most epic adventure cat ever. 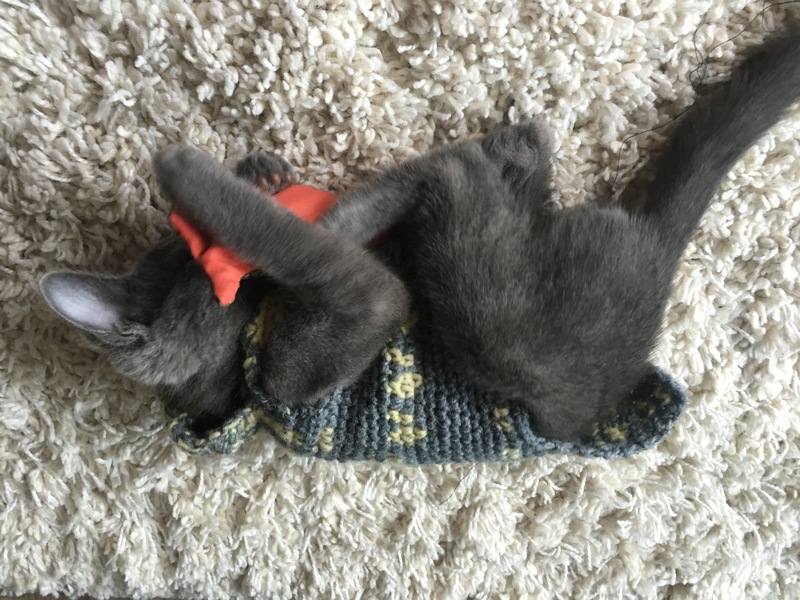 His other purpose is to inspire all of us “indoor cat” types to get outside and try something new. 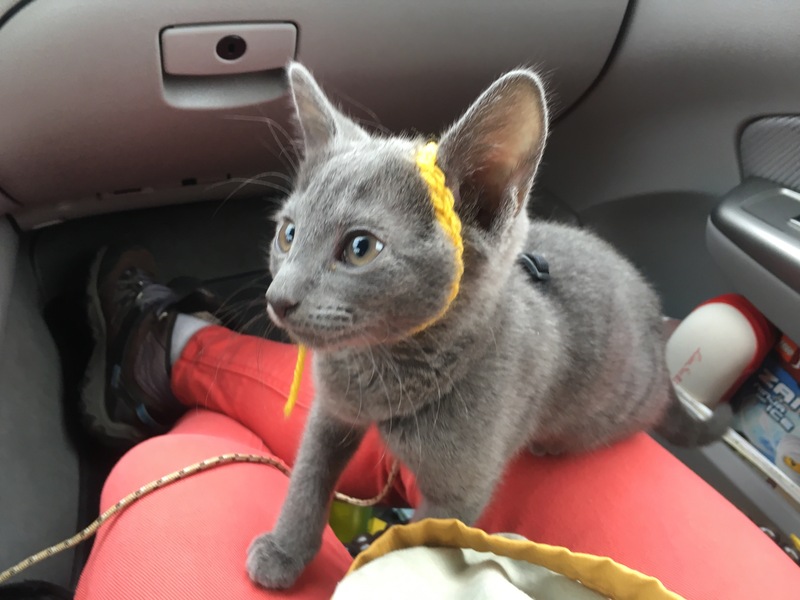 A couple weeks ago my little Russian Blue arrived and entered my life. His name is Dragon. I feel like his journey to embracing the outdoors can be empathized by nearly everyone. 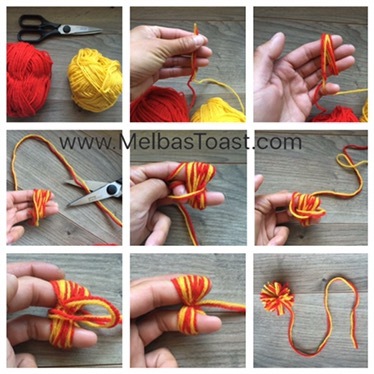 It’s about challenging yourself to brave new things and discover the Dragon within you. 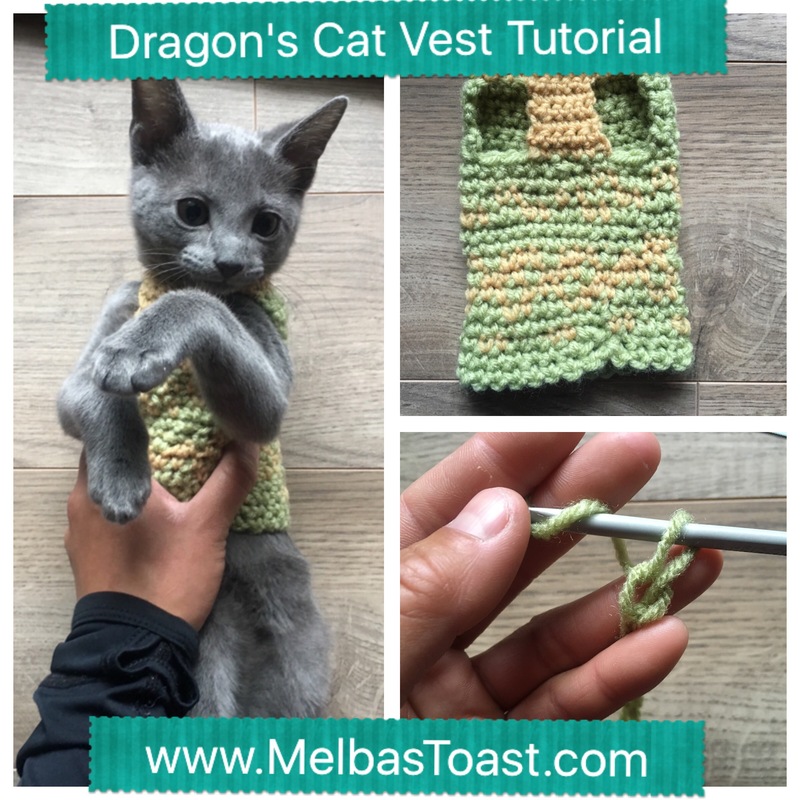 Training Dragon encompasses many aspects, including making cat toys! Ive always been someone that prefers to make things from scratch so next thing you know I came up with a few easy toys. How to Train My Dragon. Lesson 3: Water Exposure. 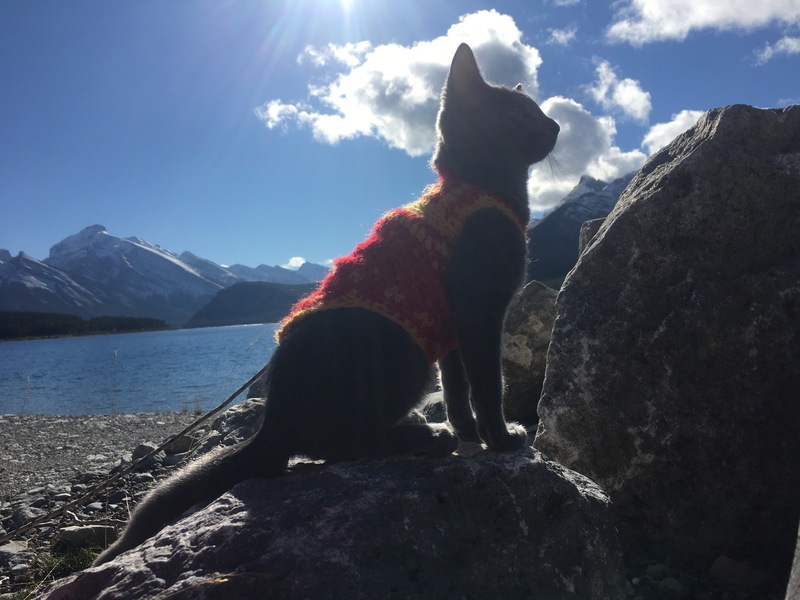 So ultimately, the goal is to train my new baby kitten to be as epic and outdoorsy as we are. Using lots of research and trial by error I’m taking (hopefully) the right steps to preparing him for the outdoors. I believe in learning from our failures and braving the things that scare us. I hope that I can impart these beliefs onto my little Dragon.